The AmaNI experience is a luxury music entertainment company. Superb customer service experience from the first inquiry until the last piece of equipment has been packed up. All of our DJ’s are graduates of Scratch DJ Academy which is the equivalent of a college for DJ’s. One point of contact throughout your entire event. The first person you talk to will be the same person who is with you at the actual event. Incredible musical range. Together we will construct the perfect playlist for your event. High quality sound. We pride ourselves in using the highest quality electronic equipment. Flexibility. We thrive on meeting your musical needs in any venue. We love to assist in developing the most creative experience for your guests. The Amani Experience has successfully provided music at events in local cities such as Redondo Beach, Manhattan Beach, Hermosa Beach, Santa Monica, Venice, Malibu, Beverly Hills, Long Beach and Los Angeles. We have also traveled to as far as San Diego, Las Vegas, Washington DC and Cuiaba, Brazil for events. We look forward to working with you in the near future to create memories. Thanks for visiting our website. 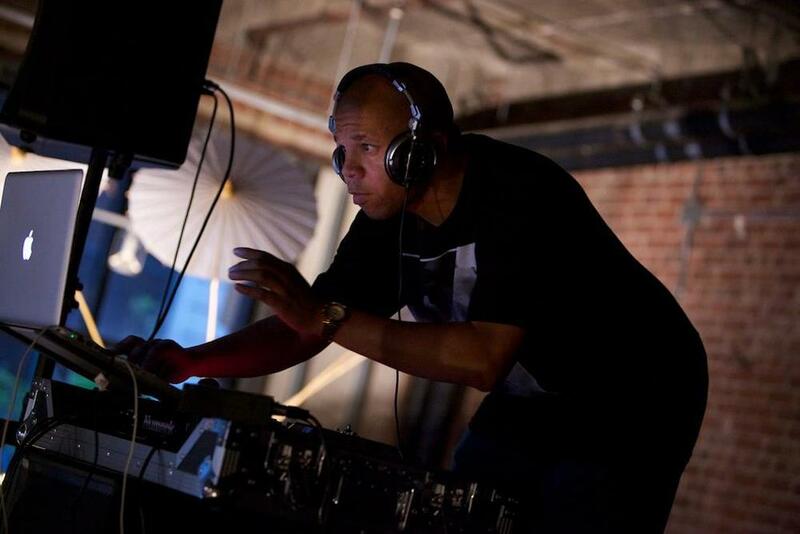 DJ AmRo (Amani Roberts) is a Washington DC born and bred DJ who has been in California since 2007. 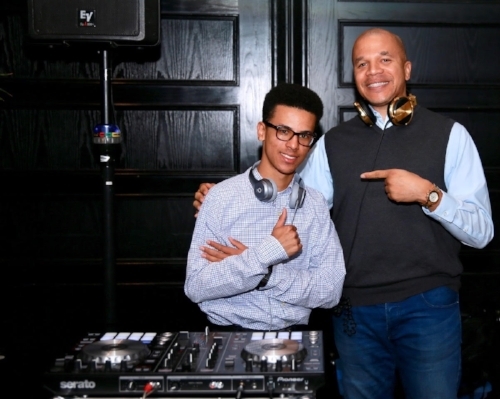 A student of music since learning the saxophone at a very young age, DJ AmRo’s musical knowledge spans numerous decades and crosses multiple genres. In April of 2008, Amani started a online radio show called Mirth Nadir. The focus of the show was listener dedications and interviewing indie and mainstream artists such as Melanie Fiona, Raheem Devaughn,Charlene Lite and Donnell Jones. The successful creation of this show further cemented Amani’s decision to DJ at a variety of events and venues throughout the world. Amani has successfully partnered with the international brand Clif Bar on numerous marathons and bicycle races across the west coast of United States. 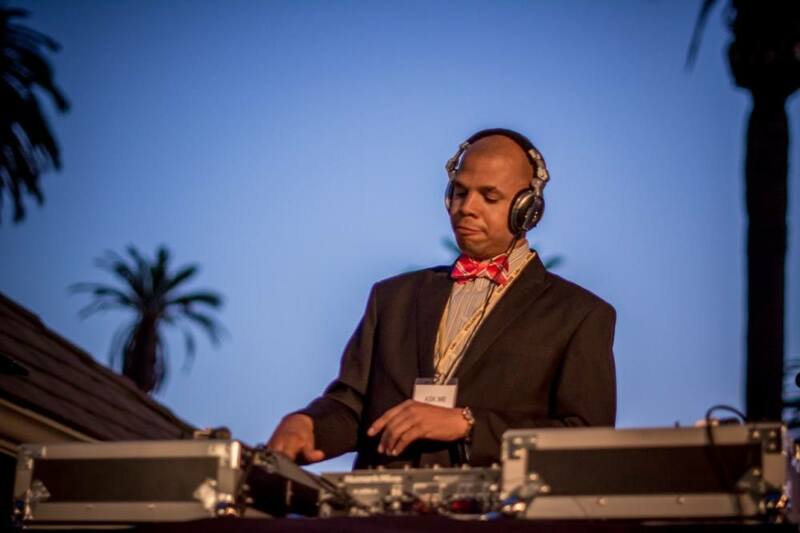 In June of 2013, Dj AmRo graduated from the internationally renowned Scratch Academy DJ school. This intense year-long program (which is the equivalent to DJ College) has elevated the skill set of Amani in an immense way. 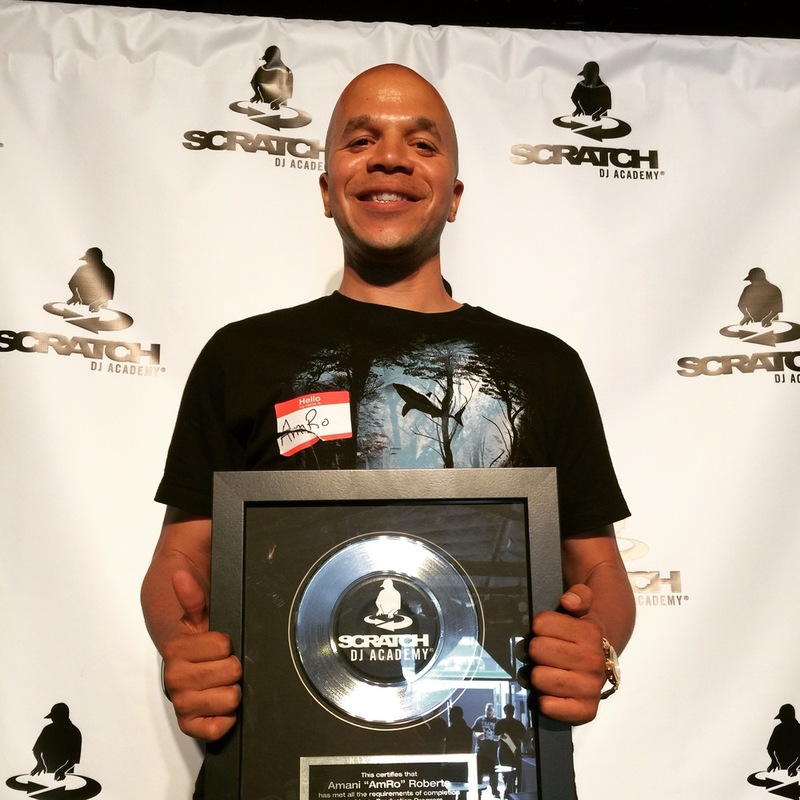 In April of 2015, DJ AmRo graduated a second time from Scratch Academy DJ School. The focus of his studies this second time was Music Production. DJ AmRo currently has residencies on various nights in Los Angeles, Santa Monica, Venice, Hermosa Beach and Culver City. 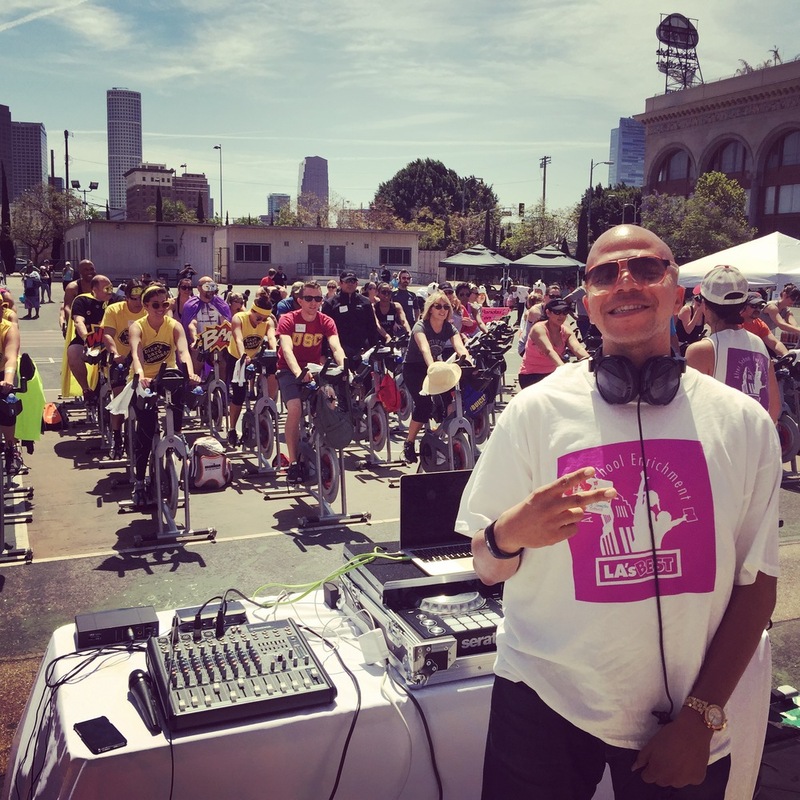 DJ AmRo mixes classic Old School, Hip Hop, House, and Latin classics with all of the latest top-40 hits and ensures that the crowd is moving at all times. The Jazz upbringing has proven invaluable as the historical knowledge allows him to find the right vibe for any party. A few of Amani’s favorite artists include Stevie Wonder, Eric B & Rakim, Meshell Ndegeocello, Mariah Carey and Teena Marie. 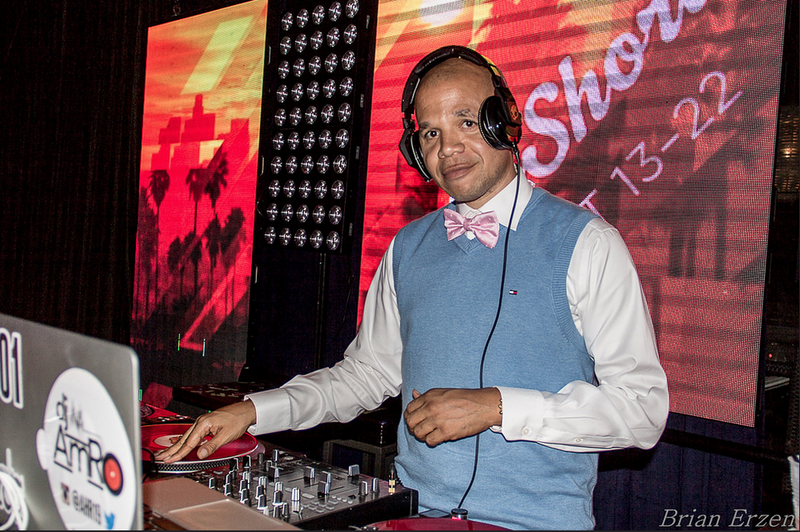 DJ AmRo is currently based in Los Angeles, California. An accomplished DJ, V-Fresh's talent has taken him all over the world where he has performed in various clubs and music halls. After honing his skills in Los Angeles, Vinay set out for Boston’s finest music conservatory, Berklee College of Music. After rigorous training and education, Vinay graduated with a degree in Contemporary Writing and Production. Whether rocking a dance party, playing guitar, producing beats, playing piano, composing film scores or singing, Vinay is constantly pushing the boundaries of personal expression. Some career highlights include performances with music legends Wyclef Jean, Mix Master Mike of the Beastie Boys, and Phillip Bailey of Earth, Wind and Fire. Vinay’s palate for various styles of music keep his DJ sets surprising, eclectic and memorable. Hailing from the east coast and currently residing in LA, DJ Ivy has turned her hobby into a full-time career. You can find her rocking the decks weekly at various popular hollywood hotspots including The Roosevelt, STK, On the Rox and the W Hotel. Ivy plays center stage at many LA premier concerts, sporting, fashion, private events and arenas. She has opened for countless legendary artists such as Mary J. Blige, Lauryn Hill, Wu-Tang Clan, Drake, Diplo and Clean Bandit. Ivy loves to rock the party by crossing genres and throwing in the unexpected. She stays close to her hip-hop roots to blend the perfect variety of old and new. Once you are on the dance floor, it's hard to leave. We love to teach people of all ages the art of DJ'ing. There is a plethora of information to learn about music and DJ'ing. We can assist in the learning process. We can teach in a group setting or individual sessions. Take a look at what is covered in our curriculum. 1) Song Structure - the different pieces of a song and how they fit together when DJ'ing. 2) How to Beatmatch - blending two songs together seamlessly. 3) DJ Equipment - How to set up and play with different equipment options. 4) The different types of sets a DJ is expected to play - The student will learn the most common sets they will need to play out in the field. 5) How to organize and play a set - We go through live exercises involving swapping in and out of from a previous DJ, preparing your sets (including programming) and recording each set for analysis. The student is taught how to mix using different mixers and controllers through real-life simulations. 6) Advanced Troubleshooting - Being able to use and troubleshoot different mixers, signal flow and sound while keeping the music going. 7) Advanced Mixing - Preparation and performance for the most common sets as well as best practices in how to handle requests. 8) Custom Edits - How to create custom edits of songs in your library to make them more DJ friendly by creating intro/outro versions. 9) All Vinyl Set - How to prepare and perform an all vinyl set. Based on the DJ's skill level, vinyl mixing lessons could also be a part of this portion of the class. 10) Modern day "crate-digging" - We review numerous strategies of digging for music in this modern age of discovering and curating music. I share strategies and work flow involved with consistently finding music and adding it to your library in the most productive way. 11) The Business of DJ'ing - We review contracts, business cards, social media strategy, website creation, and all other elements involved in successfully running a DJ business. 12) How to create mashups - We will teach the student how to create mashups that can be used while playing out at gigs or for personal listening. That Time When We LEARNED HOW TO DJ! If you are looking for a unique teambuilding activity, look no further. A Group DJ lesson is the perfect activity to strengthen the bond that your organization has with each other. By participating in a DJ lesson, your team will be able to learn more about problem solving, developing trust, sharing and how to have fun together. This teambuilding exercise is ideal for men and women as we all love to express ourselves through music. We will travel to your office or location and set up all of the equipment and sound. All that is required is a group of people who are ready to learn and have fun. We can do teambuilding activities for group as small as five people and as large as 50. For more information, please leave us a message and we will respond promptly. Thank you for your interest in our services. Exclusive Package Rates begin at $2,250. What is the vision your have for the MC (Master of Ceremony) of your event? What two songs must you hear during this event?